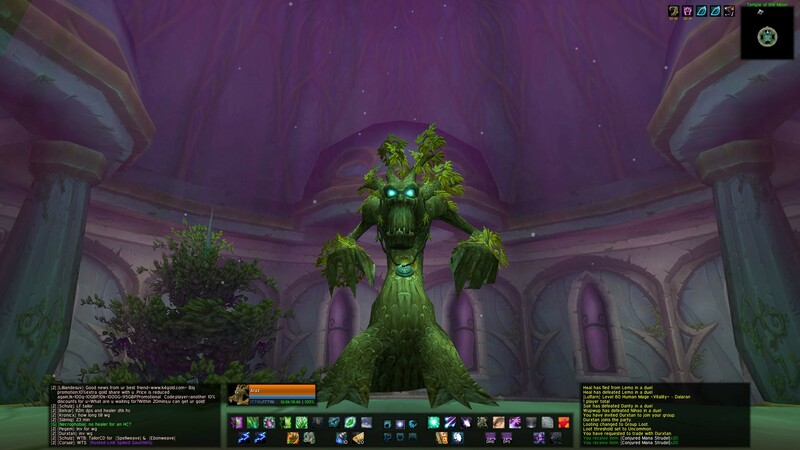 I believe the best experience I have had within WoW is creating user interfaces, and I would like to share my newest release of iLive user interface with you. If you don't know, iLive user interface is a minimalistic UI that focuses on simplicity, consistency and functionality. Inside my recent versions I've tried to use a new concept where I hide action bars we don't need to see in combat: main action bar, class bar and other bars with abilities not used inside combat. You don't need to see your Holy Light, Nourish, Heal or Healing Wave, because it has no cooldown anyway. You won't ressurect people during combat either, use your mount or use a flask while fighting a boss. Therefore, these bars have been made invisible to give you more space for in-game content view. This picture should further explain how this works. The resolutions supported are 1920x1080, 1680x1024, 1440x1050 and 1280x1024. Note that this UI is more suited for healers (especially Holy Paladins), so if you're a DPS or tank, I won't suggest you to use it. Also, this UI is made primarily for 10 player raiding, but if you move your raid frames, then using them for 25 player mode is also possible (check the questions below on how to do that). I've worked on this UI for two years, and throughout this period I've received so much inspiration, help and comments that have helped me make this UI become what it is today. Thanks to everyone, and let's not forget the addon authors allowing us to use their awesome addons! Is it possible to see more content of the interface in action? A user made a video of the interface inside a dungeon, which can be seen here on YouTube. How do I see raid frames for more than two groups (battleground and 25 raid)? 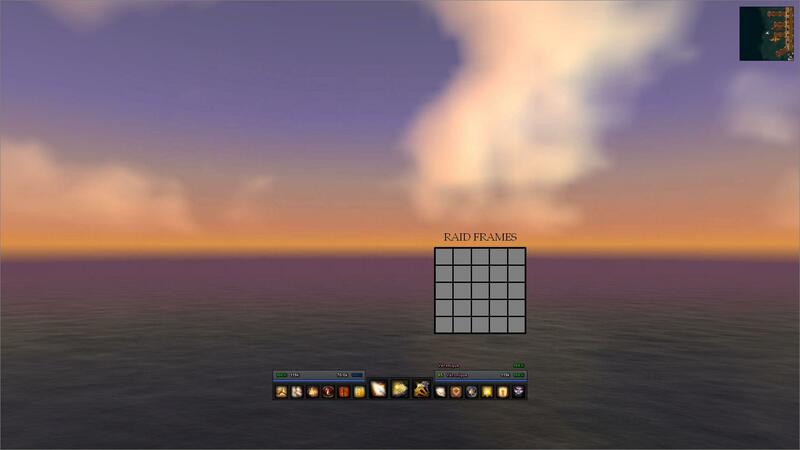 I've made this interface for 10 player raiding, which means only two groups are shown by base. 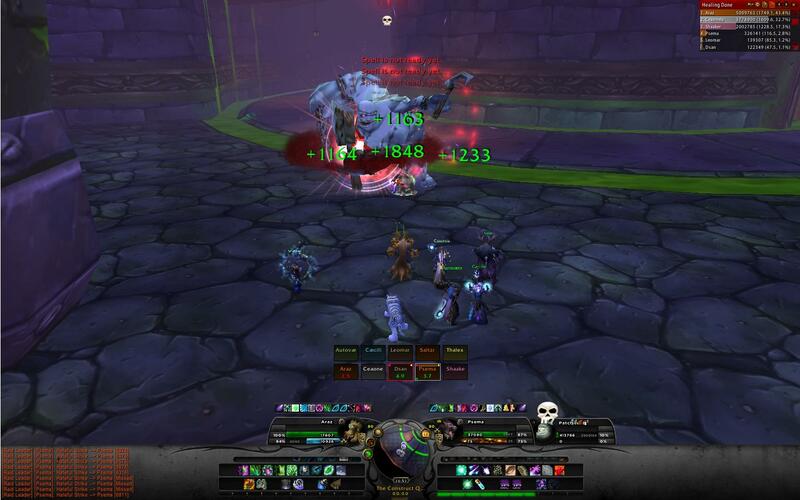 But, if you enter the addon Grid and make the layout show "Group 25" for 25 Raid and Battleground, and then unlock and move it somewhere else (example), you can make it work for any raid modes. Where are target's buffs and debuffs? I've disabled it, but it can be enabled it by entering the addon PitBull and enabling "Aura" in Modules. Where are the clock, tracking and calender? 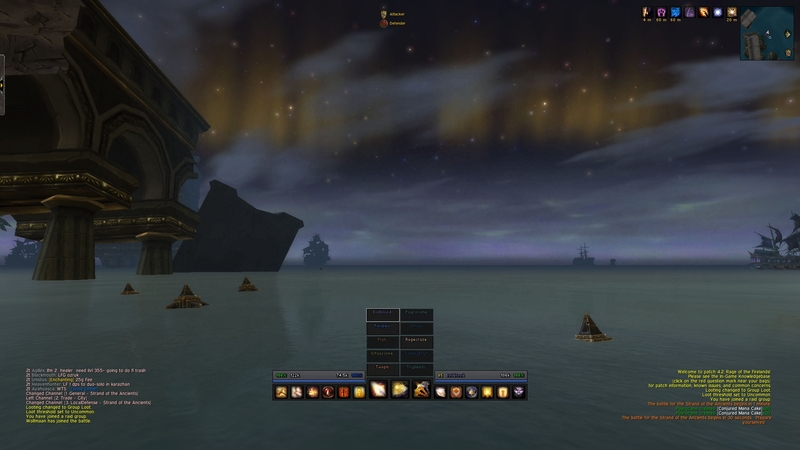 Hover the minimap with your mouse for clock, right click the minimap for tracking and middle mouse click for calender. Why can't I see red warning text (not enough mana, not ready yet etc.)? Leatrix Plus is a simple addon that removes many useless spam information (important are still shown), and it does this in order to make less disturbance. You can choose for youself what it should hide through its configurations, or you can delete or turn off the addon if you don't want these settings. There's only need, greed and disenchant buttons for lootrolls, where's pass? You right click the item's bar in order to pass. What does the pink and red corner icons mean inside Grid? The left pink corner icon shows the current holder of Beacon of Light, while the right red corner icon shows when tanks uses tank cooldowns to take less damage. 1. Download iLive user interface.rar (open the folder with WinRAR). 2. Enter the folder with your resolution (or the closest to your resolution) and replace the folders with the folders in your WoW folder. ACCOUNTNAME ---> edit to account's name with capital letters. ServerName ---> edit to server's name. CharacterName ---> edit to your character's name. 4. 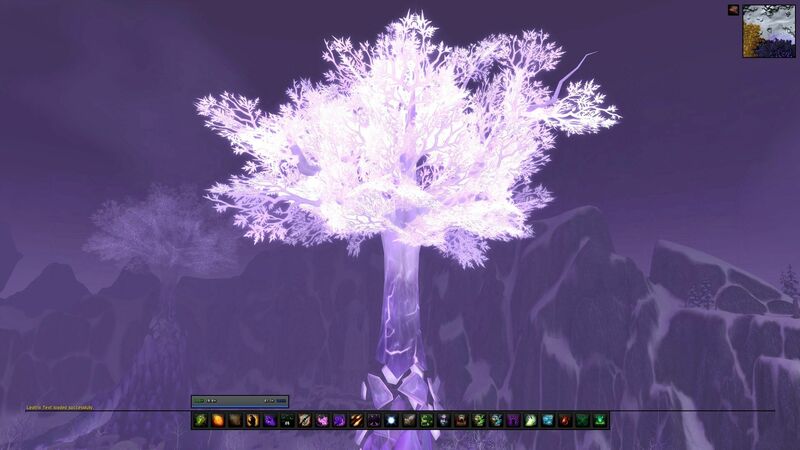 Start World of Warcraft. 5. Choose original settings, and take the UI Scale to the lowest point inside advanced options (0.64). 6. Enter "/reflux switch iLive" in-game. ButtonFacade, ButtonFacade: Darion and Masque /masque Action bar skin. Clique [P] Keybind mouse buttons. ConnectBartenderBars Connects action bar 5 and 6. Deadly Boss Mods /dbm PvE notifications. Grid and GridStatusRaidDebuff /grid Raid frames. kgPanels /kgpanels config Custom panels. Leatrix Plus /ltx Collection of small options. OmniCC /omnicc Cooldown on action bars. Power Auras Classic /powa Visuel warnings. Raven /raven Buffs and debuffs. SimplePowerBar /spb Alternate Power Bar. Last edited by iLive; 2012-02-16 at 11:09 PM. It's a great UI for those who aren't sure. Really nice job. I do like it alot but for some advice I would add a little button or something somewhere so when you press it, you activate a 2nd or 3rd bar below for those who like more then 1 main bar and as well activate a background panel like you did with the main spell bar. Everythings possible with Kgpanels! Thats what I've done with my UI and its very simple scripting. 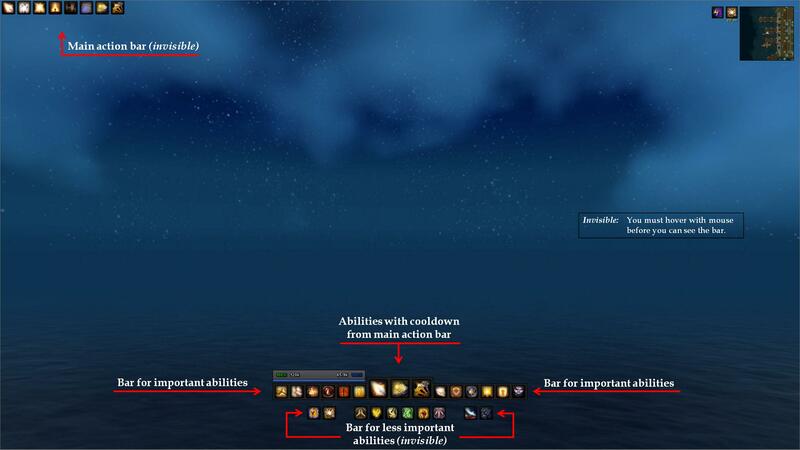 Try to make the UI user friendly for each class and spec and what the user might need. Can't wait to see a screenshot of the UI in combat! Yes, inside your WTF folder there's some files called binding.old or/and binding.wtf, and inside your character's folder there's also these files. Just copy them over, and I think you should be fine. And thanks mate. Don't the raid frames obscure your vision at your characters feet? Only if you zoom in too much, I'd expect. But normally AoE effects at the feet are generally large enough to be seen regardless of what UI elements are there. It looks really good, just how I like UI's, simple. 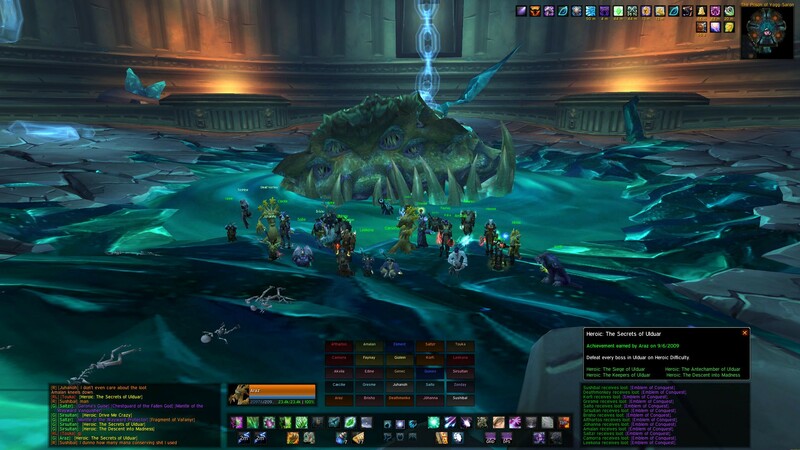 Although there are some things that put me off your UI and one of them are the Raid Frames. I don't like the positioning. 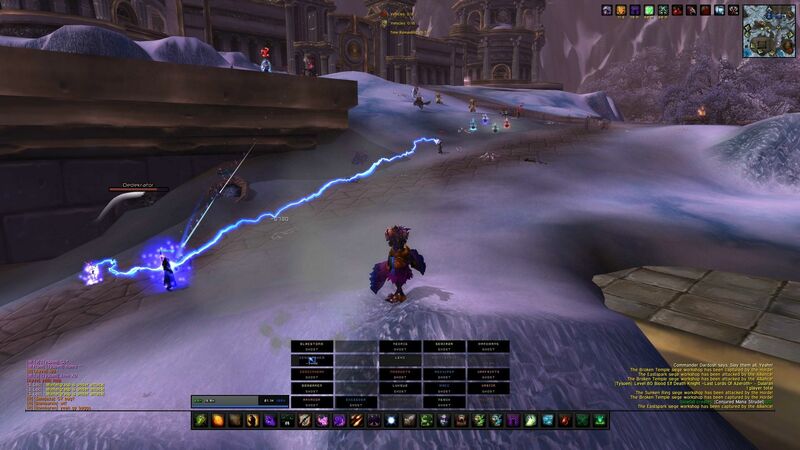 Another problem are auras, I read you don't have them enabled on enemy target which is understandable if you're healing but it makes this UI not multi spec friendly. Overall, it's really visual friendly and hopefully you will improve it. This looks interesting. Might ditch tukui and give this a try. As Meorawr said, only if you zoom in a lot. I like having the raid frames closer to the middle, but not entirely. In my opinion, the position is perfect. You can see a video here. I wouldn't recommend it as a DPS. It's really not friendly for classes that needs to see their main bar. Hello sorry to bother you mate. But I can't get it to work, I've done everything as instructed but when I do "/reflux switch iLive" nothing really happens. Think some addon is not loading. 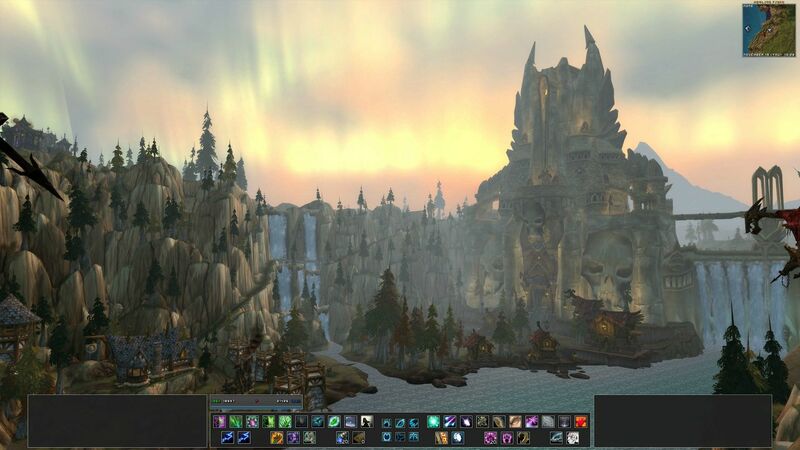 The action bars look the same as it came with wow except for some facade etc. Let me ask you a question: what is the point of moving action-bar and raid-frames up to the middle of the screen? Does it troubles you to see flame under your feet? Can I see a screenshot? Let me tell you something: it troubles me when people ask questions that has already been answered, and especially when the same question and answer is on the same page. 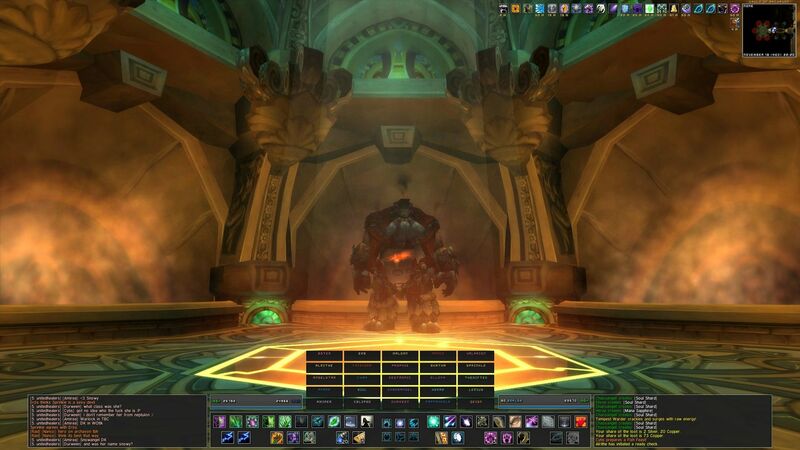 I found my old used interfaces on the internet, and I've now saved the pictures in a folder on the PC. It's so funny to watch old UIs again. You're reminded by a lot of things during the period you made the interfaces, but it also shows you the different things you learned through time. I'll post them here and the story behind, and tell me which one you liked the most. I didn't create this UI by myself. While using SpartanUI I saw this UI, and I fell in love with the concept of how everything was in one spot and centralized. So I downloaded someone elses UI and used his settings (for PitBull, kgPanels, buffs etc..) to create an UI close to the linked one. I still was an addon noob, but I knew how to resize and move addons around, so I did so and made the UI fit my taste. I posted a picture and people asked for an upload, so I uploaded it and called it iLive user interface (with the permission from the guy that helped me to achieve it through his UI, he liked it aswell and believed it was very different from his own). I one day saw a healing UI by Ishtara, and it made my UI look very childish and immature. I loved the neutral theme/art (a more flat look) and how everything was detailed in a simple way, so I downloaded the UI and changed the structure around, and then I made it an upload (people asked for upload again). Even though I mentioned and thanked Ishtara there was some drama about stealing the UI of Ishtara. I thought about removing the upload, since it was mainly to have a nice UI to heal with for myself, but there was so many people who used the UI. And the person flaming me was 1 person, so I just ignored him. Again, credit to Ishtara. I made a big step this time, I believe. I had never dreamt of going away from v2, since it seemed perfect for me, but after seeing a custom UI it just clicked me how to make the next version of my UI (looking at the skeleton of the UI). I changed the theme to be more round and soft, and then I made the construction more simple (removed some panels etc.). I was now more experienced with addons in general, since I had begun tweaking and playing with addons to make them fit my taste, so doing this became a great result. I also do landscaping on weekends with some mexican kid that I "hired". He's real good because he's 100% obedient to me and does everything I say while never complaining. He knows that I am the man in the relationship and is completely submissive towards me as he should be. Any chance you'll be able to update the UI soon? Sorry to make a double post, but has this UI project been abandoned?